Sean and Maggie's wedding was in the classy banquet hall of the Olive Tree here in Wichita Kansas. The staff there are always great, and Sean and Maggie were even better. 350 guests + live arabic band = awesome time. 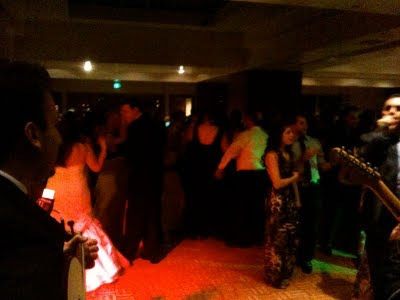 I had the privilege of continuing the party where the band left off and the dance floor was packed all night! From traditional Arabic music to today's top hits, we played it all. Maggie and Sean - you two were a blast and I'm thankful for the opportunity to serve you!